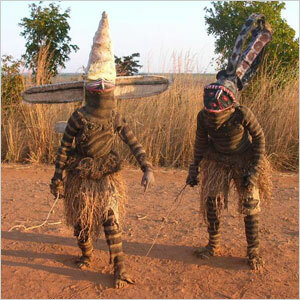 The majority of the inhabitants belong to one of the nine major ethnolinguistic tribes. About 44% of Zambians live in urban areas, particularly where major transportation is located. Most rural dwellers are farmers. 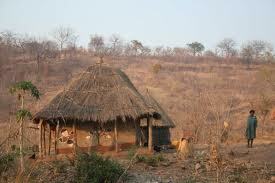 The Republic of Zambia in Southern Africa is known for its lush landscapes and varied wildlife. 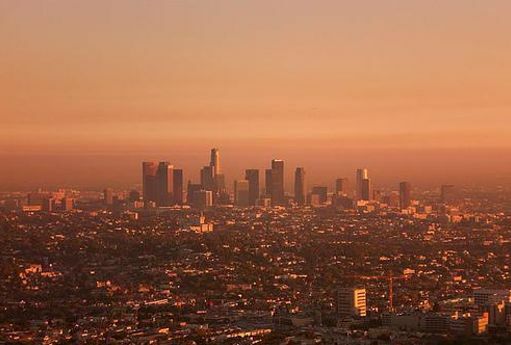 It is blessed with natural resources, with copper as one of its major exports. It also offers one of the most typical views of the African continent, a characteristic that has prompted its government to label the country 'the real Africa': a label that has never been challenged by the other African nations. Zambia is located on the north side of the African Rift Valley in the area often referred to as the "cradle of civilization." This area has been inhabited for many thousands of years, and its earliest inhabitants, the Khoisan hunter-gatherers, were gradually displaced or absorbed by more technologically advanced tribes beginning around 300 AD. The name, Zambia, is derived from the Zambezi River that borders the country to the south and west and flows over the Victoria Falls. Though Zambia is a landlocked country, the natural richness of the land contributes to its incredible beauty. Zambia is roughly 290,585 sq. miles, about the size of Texas. On a map the country looks a bit like a misshapen butterfly. Its land is largely plateaus that gradually form the slopes of mountains and hills. It is flanked by two river basins in the north and south - the Zambesi and the Congo basins. Zambia is blessed with natural beauty and some of its falls are world-famous, particularly Victoria Falls, named by explorer Livingston in honor of Queen Victoria. Zambia has a tropical climate with temperatures that vary depending on elevation. Summer starts from May until October while the wet or rainy season starts from November until April. Local tribes occupied the region now known as Zambia when the Europeans came in the 18th century to explore and spread Christianity. After publications of explorer David Livingstone's adventures in the area, more explorers came, along with traders and missionaries. In time, Europeans had a hand in the formation of Zambia as a country. In 1953 Zambia was still known as the Central African Federation, made up of Northern and Southern Rhodesia and Nyasaland. Northern Rhodesia later seceded and declared itself the Republic of Zambia in 1964; Nyasaland later became Malawi; and Southern Rhodesia is now Zimbabwe. 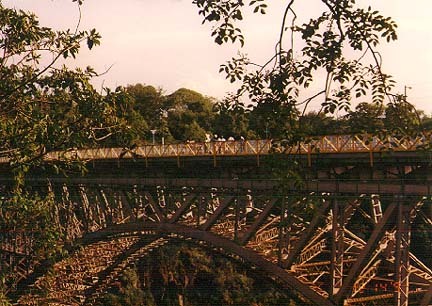 Zambia has had its share of political turmoil and economic problems, particularly in the 1970s when there was a sharp decline in its copper income. By the turn of the century, however, Zambia's economy had gradually stabilized, a result of the increase of copper prices and influx of foreign investment to support the mining industry. 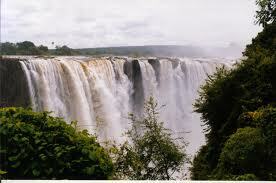 Probably the best-known landmark in Zambia is Victoria Falls, also called Mosi-oa-Tunya or 'thundering smoke'. 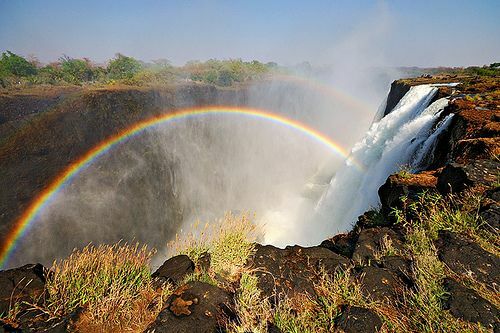 As the Zambezi River falls about 328 feet over Victoria Falls, it presents a stunning and heart-pounding sight. In urban areas, some of the best places to see are the marketplaces, particularly Soweto Market in Lusaka. Markets are busy, bustling havens of activity, trade, and socialization. Arts and crafts are sold here, along with local fruits, fish, and assorted knick-knacks. Such restaurants as Green Ethiopian, Cafe d'Afrique, and Le Soleil offer a taste of Zambian cuisine. There are plenty of restaurants in the urban areas as well, many of which offer local fare. The gemstones in the region are world-class and some of the best bargains on gems can be found in many of its jewelry shops. Zambia has many game parks including the Southern Luangwa and the Munda Wanga Environment Park, considered the best in the region. Nightlife in Zambia is generally concentrated in Lusaka, the capital, where you will find some of the country's top restaurants, bars, and clubs, but roadside shebeens are also excellent for dancing. The term shebeen originated in Ireland, and referred to the once illicit bars where alcoholic beverages were sold illegally. Most are now completely legal. Local musicians frequently play kwela, rhumba and even rock and techno. Probably one of the most memorable things to do in Zambia is to simply listen to the music. The Zambian beat is heavy on percussions and drums, accompanied by dancing and singing. Bars and clubs in urban areas usually play reggae, rhumba and African-American music. About 53% of the population are Catholic, a religion brought in by Christian missionaries. Roman Catholicism has been the official religion since 1993. Islam is a major religion in the Eastern Province. About 1%f the population are Jews, Pentecostals and Hindus. Even people who are affiliated with other religions such as Christianity also practice animism freely. As a former British colony, Zambia's official language is English, and is mostly spoken in the urban areas. People who live in rural communities speak the languages of their tribes, along with one or several other dialects including Bemba, Luanda, Luvale, Lozi, Tonga, Tumbuka, and Nyanja. The Zambian cuisine is not as spicy as other cuisines found on the African continent. While relatively bland, it is not without flavor. Zambians use a variety of spices and local ingredients, such as root crops, vegetables, and fruits to give their food its distinctive taste. The most common sources of wild meat are deer, elephant, warthog, turtle, buffalo, rabbit, antelope, alligator, crocodile, or mice. Corn is an important part of the Zambian diet. One of the most commonly served dishes in the country is called nshima, made with maize flour (sometimes cassava flour) and cooked to form a thick, semi-gelatinous porridge. This is often served with sour milk, meat, fish, vegetables and beans, but the preparation differs depending on the region in which it is served. Another important Zambian dish is called the ndiwo, a type of relish that is frequently served with nshima. This is a combination of vegetables, fish, poultry, or meat. It is also known as dende, umunani or ndiyo.